What are short-rows? They’re exactly what they sound like: partial rows in the knitting that create curves, soft angles, and depth. 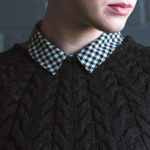 Short-rows are an invaluable technique that allow the knitter to create modern, seamless knitwear that is both engaging to knit and flattering to wear. In this series, we’ll show you how to work some of the most common methods of working short-rows. In the past few weeks, we’ve covered the wrap and turn method, the yarnover method, and the German method . Today’s method: Japanese short-rows. The Japanese method produces extremely tidy results in stockinette stitch, garter stitch, and reverse stockinette stitch. 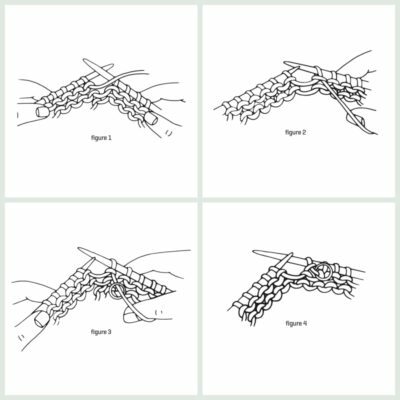 In the Japanese method, stitches are worked to the desired turning point, the work is turned, and the working yarn is marked. On a subsequent row, the marked yarn is pulled up to create an extra loop, which is worked together with the next stitch to disguise the turning point. This method requires a removable stitch marker, coil-less safety pin, or scrap yarn to mark the loop to be pulled up. 1. Knit to the turning point and turn the work (Figure 1). 2. Slip the next stitch purlwise (Figure 2). 3. Place a removable stitch marker on the working yarn at the front of the work (Figure 3). If you’re working in garter stitch and need to move the yarn to the back between the needles, keep the stitch marker in front. 4. Purl the next row (Figure 4). If you’re working in garter stitch, knit the next row. 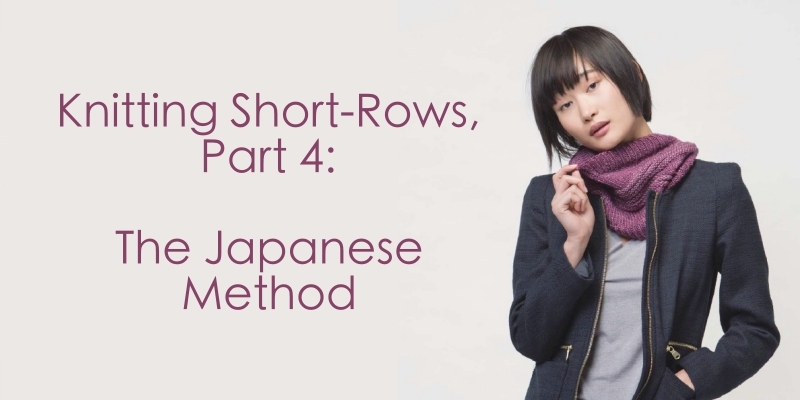 Ready to give Japanese short-rows a go? 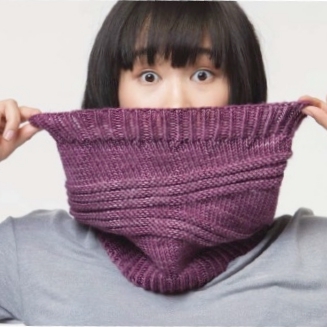 The Paving Stones Scowl, shown above, is a fun combination of a scarf and a cowl. If you prefer more traditional accessories, check out the Welts Apart Cowl (shown in the header). Get Knitting Short Rows and Get to Work!